But that's what I have been experiencing this past week, together with my oldest offspring. In fact, big C got it worse than me. His flu was so bad he had to stay at home and missed his rowing practices the entire week. The house was beyond messy, but I didn't care. Our meals consisted of whatever quick and easy I could manage to whip up. Mostly stir-fry stuff. But finally today, we said we want something different. No more stir-fry, let's have something soupy and comforting, but still easy to make. Then Dublin coddle came to mind. 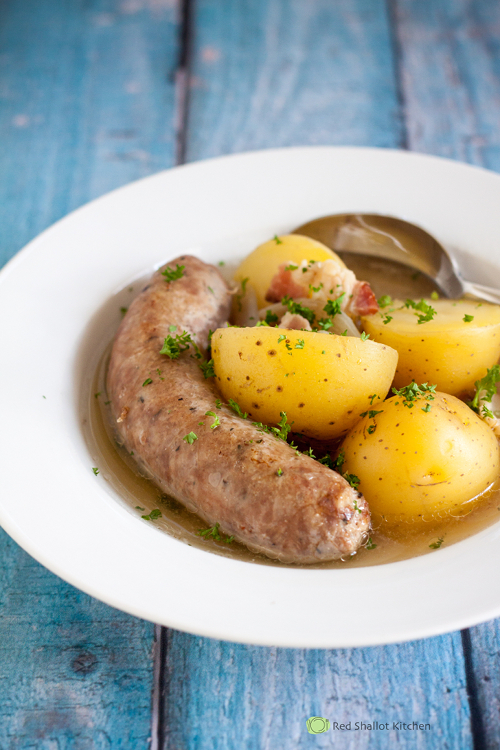 This slow-cooked Irish stew filled with bacon, sausages and potatoes is not only easy to make, but also tastes great. This is the kind of dish that makes you warm and fuzzy inside. Because the dish only calls for a few ingredients, make sure you only use the good quality sausages and bacon you can find. The better the ingredients, the better your stew will be. Enjoy! In a large saucepan, heat the oil over medium heat. Brown the sausages on both sides, transfer to a plate and set aside. Add bacon and onion into the saucepan. Cook until the onion has softened, about 5-10 minutes. 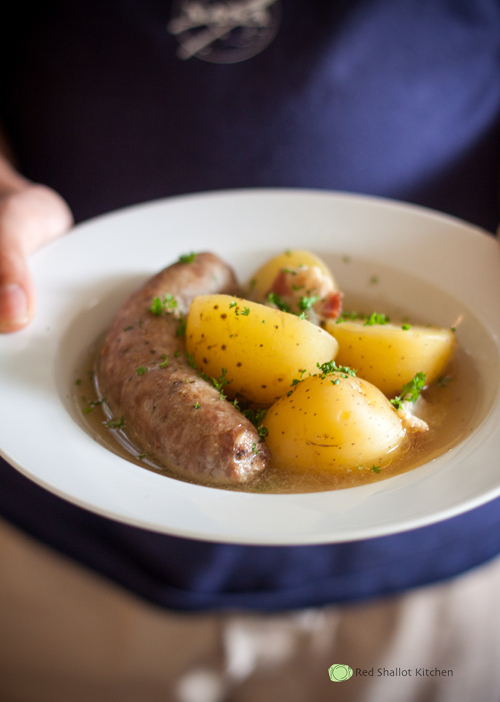 Return sausages into the pot, add potatoes and pour the stock into the pot. Add cabbage into the pot as well, if you're using. Season with salt and pepper. Bring the soup to a boil, then reduce the heat to low,. Cover the saucepan and simmer for about 1 hour, until the potatoes are tender. Ladle soup into individual bowl and sprinkle with chopped parsley. Serve hot with good crusty bread. For all cat lovers to know the information about National Cat Day, you must view my blog National Cat Day and enjoy the day with your beloved pet. Download the SSC Result 2017 from the authority Organization of Bangladesh education board's ssc result 2017 publication's official website. Great post this is, thanks for all the love for my nation in this article. Kontes Seo Dengan Hadiah Terbesar Di Asia . Berhadiah 100juta Untuk 20 Orang Pemenang . Bukti Kan Anda Adalah Seorang Ahli SEO . Ini Saatnya Bagi Anda Untuk menguji kemampuan SEO Anda . Ayo Buktikan Bahwa Anda Ahli SEO , jangan hanya ngomong doang !!. This is amazing here is good information for us thanks for sharing with us. Good write-up, I’m normal visitor of one’s blog, maintain up the nice operate, and It’s going to be a regular visitor for a long time.